Highlights of enterprise software and solutions news from the past two weeks. Oracle America sales head leaves after trashtalking Mark Hurd and HP online. Larry buys Lanai. Oracle wins nothing in lawsuit vs Google. Oracle’s results fail to impress. “I think the market is ripening up for a more grown-up version of social,” Sameer Patel, SAP’s new global vice president and general manager of enterprise social software, said in an interview. The former adviser to the Enterprise 2.0 event said vendors are starting to think about how to integrate with existing business systems and pointed to supply chain management as one area of huge, untapped potential. “It’s the sort of thing that can move this industry forward,” Patel said. Oracle Corp. officially confirmed the departure of Keith Block, the company’s head of North America sales, in a Thursday filing with the Securities and Exchange Commission. The company had previously told some analysts that Block had recently left the company. Block created a stir after his instant messages criticizing co-President Mark Hurd and the company’s hardware business were made public during the ongoing trial between Oracle (US:orcl) and Hewlett-Packard (US:hpq) over contract dispute. There are no leading commercial products, but there are four open source projects. The commercial products are not advertising the capabilities of a new class of software; the open source projects are. And while one, and only one, open source project tends to gain the upper hand in each new category, there are three contenders in the cloud space, with none of them having a clear advantage. Should I implement or move to SAP BW on HANA?” then I think the answer should be: Yes, unless you are one of the special cases above where you don’t need it. 1. I have SAP ECC and BW, what do I do? 2. I have SAP ECC and may want BW, what do I do? 3. I have SAP ECC, but someone told me SAP BusinessObjects Rapid Marts are better, what do I do? 4. I have SAP ECC and someone told me they will design a data warehouse for me from scratch, what do I do? 358 customers, 159 implementations, 65,000 end users, more than $250 million in revenues, 1,842 trained HANA consultants and seven hardware partners. Constellation’s Connected Enterprise 2012 is an intimate innovation summit for senior business leaders successfully using disruptive technologies such as social business, cloud computing, mobile enterprise, big data and analytics, gamification, and unified communications/video to drive business value. The 3-day, 2-night executive retreat will include mind expanding keynotes from visionaries and futurists, interactive best practices panels, The Constellation SuperNova Awards event, a golf outing, and an experiential companion program. Residents of the tropical paradise of Lanai hope the pending purchase of Hawaii’s sixth-largest island by billionaire Oracle CEO Larry Ellison will mean improvements to its resorts and golf courses to boost tourism and provide new jobs. But the island’s former owner, fellow billionaire David Murdock, is retaining the right to develop a wind farm that some residents fear will harm archeological sites and native birds. After an F-bomb-laced rant last week from Linus Torvalds, the recipient of that ire has responded. Torvalds, the main force behind the Linux kernel, was speaking at a forum hosted by Aalto Center for Entrepreneurship in Otaniemi, Finland, on June 14, when he was asked a question about Nvidia’s alleged lack of support for its Optimus graphics products. “Nvidia has been one of the worst trouble spots we’ve had with hardware manufacturers,” Torvalds said. About a minute into the rant, which starts at 49:59 mark (see video at bottom), he dropped the F-bomb and gestured with his middle finger. All directed at Nvidia. “Is there a catch I need to be aware of?” asked Judge William Alsup, who has been hearing the case. The companies apparently want to conclude the case and move on to Oracle’s appeal without any issues outstanding. “The parties agreed we need to resolve the question of statutory damages now to resolve any outstanding issues in the final judgment,” Jacobs told the judge. 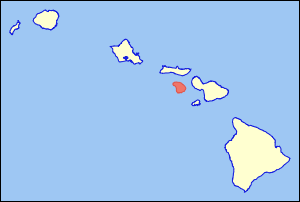 Oracle Corp. CEO Larry Ellison has reached a deal to buy 98% of the island of Lanai from its current owner, Hawaii Gov. Neil Abercrombie said Wednesday. Is Everyone Trying to Look Like Salesforce.com? Whatever the truth is, it appears to me that Oracle’s buying spree in 2011 has made it OK for well-heeled companies, who are late or semi-late to the social-mobile-cloud party, to buy their R&D. Or more accurately, these guys don’t ask for permission, so it’s now game on and the stampede has started. Electrical engineers will be able to access wiring diagrams on a tablet for the right asset and update the diagram onsite to ensure that diagrams always reflect reality on the ground. New jobs arising during the day can be sent to a manager and, once completed, the work management system and the asset data will be updated immediately. If the job requires rescheduling to another workgroup, then this can be completed in a more effective manner. Adobe Systems Inc.’s (ADBE) fiscal second-quarter earnings fell 2.4% as the company is transitioning to subscription services away from packaged software. Adobe had been forecasting a quick start to 2012 after taking a $94 million charge at the end of last year linked to its shift to online applications and analytical services that make up its Creative Cloud. Now it has posted two quarters of declining earnings and reined in its full-year revenue target to growth of 6% to 7% from a previous range of 6% to 8%. Hewlett-Packard estimates it should be awarded more than $4 billion in damages, based on an extrapolation to 2020 that accounts for projected losses, said the person, who didn’t want to be identified because the court document containing the damages request is confidential. She will report to Robert Enslin, president of sales and part of the SAP Global Managing Board. McBride rejoins SAP from Dell, where she served as vice president and global head for the Applications and BPO Services business, and most recently as vice president of Dell Services for Asia Pacific and Japan. In these roles, she led a team of more than 15,000 professionals building next-generation services offerings and process capabilities for Dell Services on a global basis across multiple industry verticals and market segments. During her tenure, she transformed Dell Services businesses to provide profitable growth; co-innovated with Dell customers to deliver data center, application development, application modernization, mobility and cloud-based solutions; and led sales and delivery of end-to-end Dell solution capabilities in key markets including the U.S., Europe, India, Japan and China. up 7% to $9.9 billion. Non-GAAP new software license revenues were up 8% to $9.9 billion. billion. Both GAAP and non-GAAP hardware systems products revenues were $3.8 billion. GAAP operating income was up 14% to $13.7 billion, and GAAP operating margin was 37%. GAAP earnings per share were up 11% to $2.46. Oracle reported a fourth quarter net income of $3.5 billion, or 69 cents a share (statement). Non-GAAP earnings were 82 cents a share on a revenue of $11 billion. Wall Street was expecting fourth quarter earnings of 78 cents a share on revenue of $10.9 billion. For fiscal year 2012, GAAP total revenues were up 4 percent to $37.1 billion, while non-GAAP total revenues were also up by 4 percent to $37.2 billion. The development of Oracle Cloud is strategic to increasing the size and profitability of Oracle’s software business. Our Oracle Cloud SaaS business is nearly at a billion dollar revenue run rate, the same size as our engineered systems hardware business. The combination of engineered systems and the Oracle Cloud will drive Oracle’s growth in FY 2013. Oracle didn’t immediately respond to requests for comment about Block’s status. His biography remained on Oracle’s website late Monday afternoon. The situation could be clarified Thursday when Oracle is scheduled to report its fiscal fourth-quarter earnings. Block may have antagonized some of his bosses with derogatory remarks that recently emerged in a California trial pitting Oracle against rival Hewlett-Packard Co. The two companies are suing each other in a dispute over Oracle’s decision to stop making software for HP computers running on Intel Corp.’s Itanium chips. The other highlight is that Oracle has authorized a re-purchase of $10 billion worth of shares. In after-hours trading, Oracle shares rose 88 cents, or more than 3 percent, to $28 a share. The early disclosure came on chatter — which CNBC’s John Fortt just reported as confirmed moments ago — that executive vice president and head of North American Sales Keith Block has left the company. The departure comes in the wake of the surfacing of some embarrassing instant messages in a release of documents by Hewlett-Packard a few weeks ago, arising from the ongoing lawsuit between the two companies over Intel’s Itanium chip. Oracle Corp. said Monday that its fourth-quarter profit increased 7.5%, a surprise announcement three days ahead of schedule that appeared to be triggered by the departure of a top sales executive. Oracle North American Sales Exec Keith Block Out? Oracle executive VP Keith Block, who has run North American sales at the enterprise software giant since 2002, is expected to be shown the door following the disclosure of some internal messages in which he harshly criticized current management, and in particular bad-mouthed the company’s acquisition of Sun Microsystems. The company gave a weird reason for releasing the report early. They said since they had the report ready, they didn’t think the market would mind if they released it early. Certainly unusual. product that is backed by the flanking “Sphere” platform. When a large customer such as Roche or BBVA Group agrees to pay Google for its e-mail, word processing and spreadsheet applications, Google sends technical experts to help the IT staff set up the technology. Once customers are running on Apps, they can connect with Google technical experts online or over the phone at no additional charge, Ding said. But Google points smaller customers to partner companies, such as Dito LLC, Cloud Sherpas and Onix Networking, for help migrating to and setting up their users on Apps. IBM is a company with a clear perspective and vision of how they can grow their business over the intermediate future time frame. Most importantly, they are an established technology giant that is not afraid to reinvent their business as technology evolves. Longer-term, IBM labs, their research arm, is second to none. The recent announcement of their “Holey Optochip,” the first parallel optical transceiver to transfer 1 trillion bits — one terabit — of information per second represents clear evidence that IBM is prepared to meet the challenges of “Big Data” and the rapidly advancing world of cloud computing. But perhaps best of all, I believe IBM is a bargain at its current valuation. Consequently, I believe the company offers above-average growth and a dividend yield greater than the 10-year Treasury bond, all at a very reasonable or even low level of risk. In the utmost spirit of IBM, it’s elementary my dear Watson. The company unveiled a hardware architecture designed to run Hadoop and announced consulting services and software packages to help companies to use that framework. The first in the offerings is HP AppSystem for Apache Hadoop, which is considered as industry’s first enterprise-ready appliance combines with HP Converged Infrastructure, and advanced integration with Vertica 6. The appliance is designed to deliver real time analytics and massive data processing. HP Data Strategy Workshop allows customers to reduce risk and accelerate decision-making by providing an understanding of the challenges of big data and available solutions. HP Roadmap Service for Hadoop empowers organizations to have a clear dimension and plan the implementation of the Hadoop platform. HP Vertica Analytics Platform enables businesses to connect, analyze and manage any type of information located anywhere, using any interface. Nokia Had To Choose Microsoft Windows Phone, Can They Make The Strategy Work? Nokia have to live with the mistakes made in the transition and must remain committed to their strategy. The parts of the company that are surplus to requirement are being stripped away; the Asha handset range (powered by Nokia’s Series 40 OS) continues to deliver solid sales and volume; and the next major step in the strategy will happen in a few months time… the reveal of Windows 8 and whatever handset Nokia have designed around the next version of the mobile OS. Nokia is far from finished playing out the Windows Phone strategy. Whatever you do, don’t count them out of the match yet. As with Facebook’s Instagram acquisition, Microsoft’s reported $1.2 billion purchase price for business-software company Yammer likely doesn’t really reflect what the startup is worth in earning potential. Rather it’s an indication of how much the buying company is willing to pay to keep it out of competitors’ hands, acquire the talent on the team, and neutralize a potential threat to its business. Fairly obvious indicators that Facebook’s giant IPO might not be the bonanza originally expected included slowing revenue growth, lower-than-expected demand from institutional investors, a lagging mobile strategy and a valuation at a whopping 107 times earnings, more than every S&P 500 company except Amazon. To many experienced investors – both before and after the IPO – it’s no surprise the stock now hovers at about 25% below its offering price. As long as you pay maintenance on the software, the underlying hardware is free and eligible for refresh every four years or so. Cancellation incurs a penalty. Sound familiar? Wireless providers more than supplement their device subsidies by increasing monthly fees, not to mention cancellation fees and a two-year commitment. In a slide asking, “Why do we need a next gen Xbox in 2013?” Microsoft posits that its Xbox 360 business will decline beginning next year, while Gen 8 gaming platforms from rivals Sony and Nintendo raise the bar and “new threats from Apple (AppleTV) and Google (Google TV)” emerge to challenge the leading game console maker. “I would say, ‘Siri, what are the five largest lakes in California?’ and it would come up, one, two, three, four, five. And I would ask ‘What are the prime numbers greater than 87?’ and they would come up all in a row. That was pretty incredible,” Wozniak said. Once Apple purchased the technology, however, Wozniak’s interactions with Siri became less positive: “He then paused, lifted his right hand and gave it a big thumbs down,” Fitzgerald said. “‘What are the largest lakes in California?’ I’d get all these lakefront properties. And I’d say ‘What are the prime numbers greater than 87?’ And I’d get prime rib,” Wozniak said. The company hasn’t disclosed its revenue yet, but Workday reportedly should reach $500 million this year, on a valuation of $2 billion, says Businessweek. Highlights of enterprise software and solutions news from the past two weeks. Acquisitions, lawsuits, IT failures, Oracle’s cloud announcements (yawn! ), some humor, and and Larry joins the twitterverse @larryellison (but still just one tweet!). Salesforce.com is rolling out a number of upgrades to its Force.com platform in conjunction with the Summer ’12 update to the vendor’s cloud CRM (customer relationship management) software, focusing on areas such as mobile application development, database tooling and easier upgrades. The new mobile features include support for geolocation fields inside Force.com’s database infrastructure, allowing developers to create “location-aware” applications. Salesforce.com has also created a new Schema Builder toolset, which is generally available as part of Summer ’12. Schema Builder provides a visual, drag-and-drop style interface for quickly building database schemas. Another feature, push upgrades, automatically applies updates to applications and functionality built by ISVs using Force.com. “Very unique” features such as this are driving the momentum behind Force.com’s AppExchange marketplace, said Mike Rosenbaum, senior vice president of AppExchange and Force.com operations. The transaction includes the sale of over 800 patents and their related patent applications, and grants Microsoft a non-exclusive license to its retained patent portfolio for aggregate proceeds of $1.056 billion in cash. “How do we become the company that provides the software infrastructure to help CMOs navigate that change, and listen to consumers and the insight gained from those consumers and measure the results?” he asks.